How much follow-up work is necessary? Does this program work with adults? How much can I expect to gain from the program? How does the Davis program work with home schooled children? How much improvement in reading or writing can I expect? What other diagnoses can the Davis Programs help with? Why is the Davis program "drug-free?" The client will first learn how to correct perception and disorientation at will. This is accomplished via Davis Orientation Counseling®—as outlined in The Gift of Dyslexia by Ronald D. Davis. 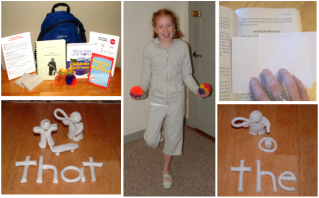 The client will then learn how to master the basic symbols for reading and writing by creating the alphabet and abstract words using clay. This is a fun and easy way for clients to overcome confusions. For more information and program details, see Davis® Program Specifics. In order to ensure continued success and improvement after your Davis® Dyslexia Correction Program, continued use of the Davis tools and follow-up work must be completed. Time frames will vary depending upon each client's personal goals and support situation. ​See the recommended/sample follow-up schedule that has been most successful for Learning Options’ clientele. Yes! At the age of 38, Ron Davis discovered the tools that allowed him to correct perception and, for the first time in his life, read an entire book in one sitting. 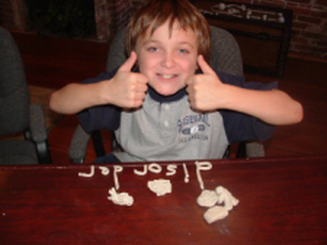 After his discovery, the program was further tested and developed by working with adult Dyslexic volunteers. Motivated adults bring a level of maturity and self-awareness that make the program extremely rewarding and successful! Learning Options has helped adults of all ages to improve their reading, writing, spelling, focus, and stress-levels. 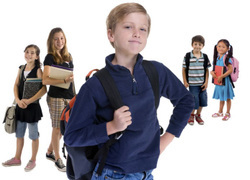 The Davis® methods address the root cause of learning disabilities. This positive, creative-based, and multi-sensory program is DESIGNED for the learning style of the visual-spatial person. It uses the natural strengths and talents of the client’s personal learning style. Clients will learn HOW THEY LEARN and leave with the ability to implement the knowledge obtained during the program into daily life. The program does not use phonics, colored-overlays, rote memorization, or repetitive drill - which address only the symptoms, not the root cause of Dyslexia. Unlike other programs that require weekly visits over the course of many years, the Davis® Program follow-up is done from the comfort of your own home...on your schedule...and at no additional cost to you. What can I expect to gain from the program? Implementing the tools into every day life, as well as doing Davis Symbol Mastery® follow-up on trigger words, is necessary to ensure continued success with the program. The Davis program is a wonderful complement to the home school setting. After the 30-hour program, support training for the parent provides a basis for follow-up over the next 4-6 months. All necessary materials are provided, and when added into a daily routine, the follow-up exercises go quickly. Many Learning Options clients have found great success with implementing the Davis strategies into their home school environments - even for their non-dyslexic children! The Davis Dyslexia Correction® program has a 97% success rate! A typical program will provide for a significant improvement by the last day of the program. This is a literacy jumpstart...future progress is determined by the client’s motivation, continued use of tools, and completion of Symbol Mastery after the program. The assessment is $150. Assessment reports are available upon request at no additional charge. After determining which program will best suit the client and establishing client motivation, a personalized program can be scheduled. 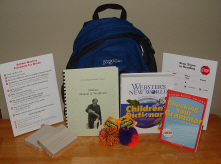 Student kit containing student manual, clay, dictionary, grammar book, Koosh® balls, procedure charts, and backpack. Support training for all persons who will assist in supporting the client after the program. 3 two-hour post-program visits (if necessary). *Programs taking longer than 30 hours will be pro-rated. Payment is typically due on the first day of the program. Credit cards are accepted. One of the main goals of the Davis® Program is to enable a person to correct their perceptions and control their attention on their own without the use of medication. A person under the influence of certain medications is not able to experience the contrast and improvement that voluntary control of orientation has on their learning ability as well as their creativity. Medicines such as antihistamines, codeine-based cough syrups, stimulants (Ritalin, Concerta, Strattera, etc. ), and antidepressants (Prozac, Zoloft, etc.) should be avoided. These medications inhibit a person's ability to use creative thought, or to visualize or picture things using imagination. This becomes significant when doing a Davis Program. During the Program, clients are asked to use multi-dimensional thought and perceptual abilities that are quite natural for them. Psychoactive drugs inhibit the individual's ability to use these talents. In order to ensure that the client receives the full benefits of the Davis Program, full disclosure of current medications being taken (including non prescription medications or natural, herbal remedies), is essential. Also, whenever possible, the client should refrain from certain medications for at least one week prior to starting a Program. However, no prescribed medication should ever be discontinued without seeking the advice and permission of the physician who prescribed it. This doesn’t mean that it is impossible for a medicated person to do the Davis procedures. 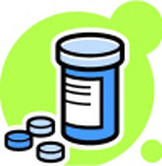 Medications such as antibiotics and aspirin, when necessary to treat a temporary physical problem, are acceptable. Also acceptable are medications for chronic conditions such as high blood pressure, diabetes, and asthma. If you have concerns regarding the long-term affects that stimulants may have on you or your child, the Davis® methods provide a drug-free alternative.